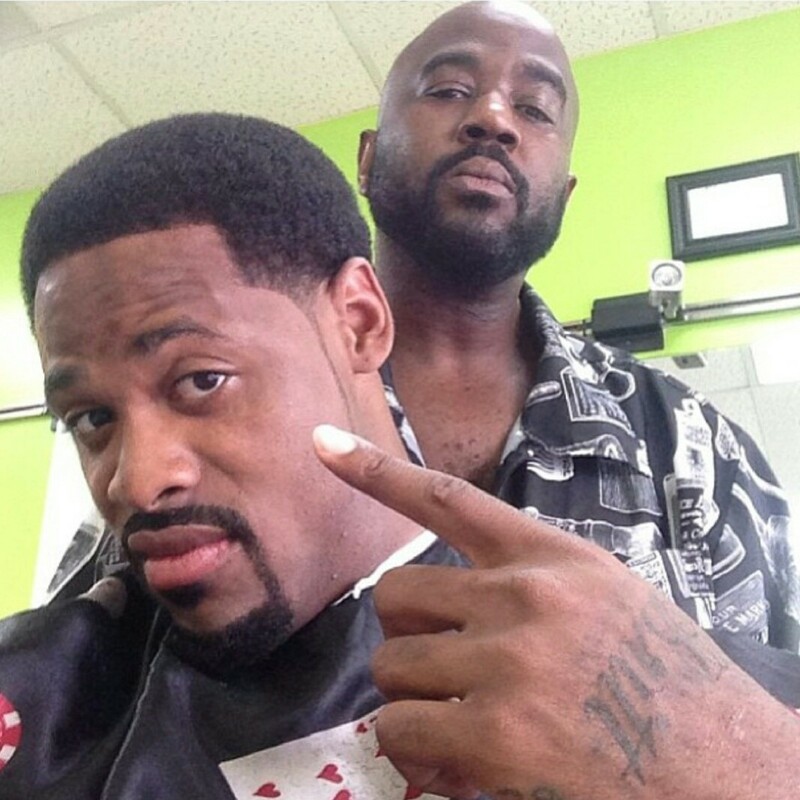 In March of 2011, Wade opened his first barbershop, “The W Hair Loft,” located in downtown Glen Burnie, MD. Through much hard work, dedication, and support from his clients, he was able to open a second location in the Washington, DC (Hyattsville) area in the summer of 2004. 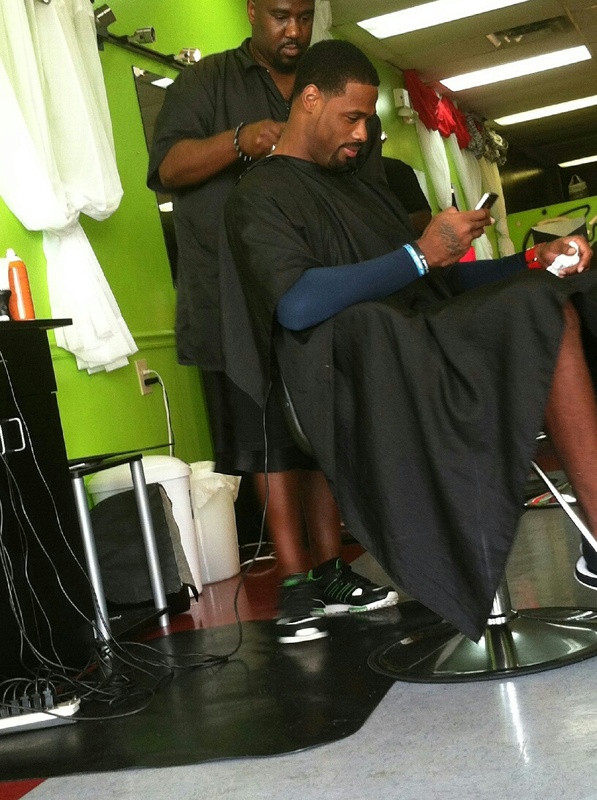 Both shops are successfully operating with a team of barbers who work closely together to bring the best male grooming services to those in DC, MD, and the surrounding areas. Due to the many years he has spent perfecting his craft, Wade is able to produce unique styles as his skillset is second to none, guaranteeing total satisfaction every time. 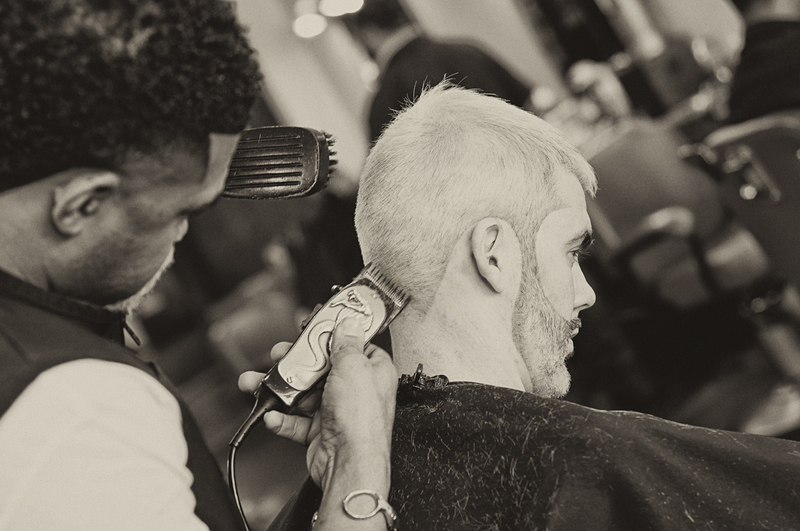 Wade’s commitment to be one of the best barbers is the driving force behind his dedication to growing his brand. As a certified Hair Loss Specialist, he is one of the first barbers to offer custom hair units for men—a service that allows men who are thinning or balding due to alopecia be able to regain their confidence by having hair. 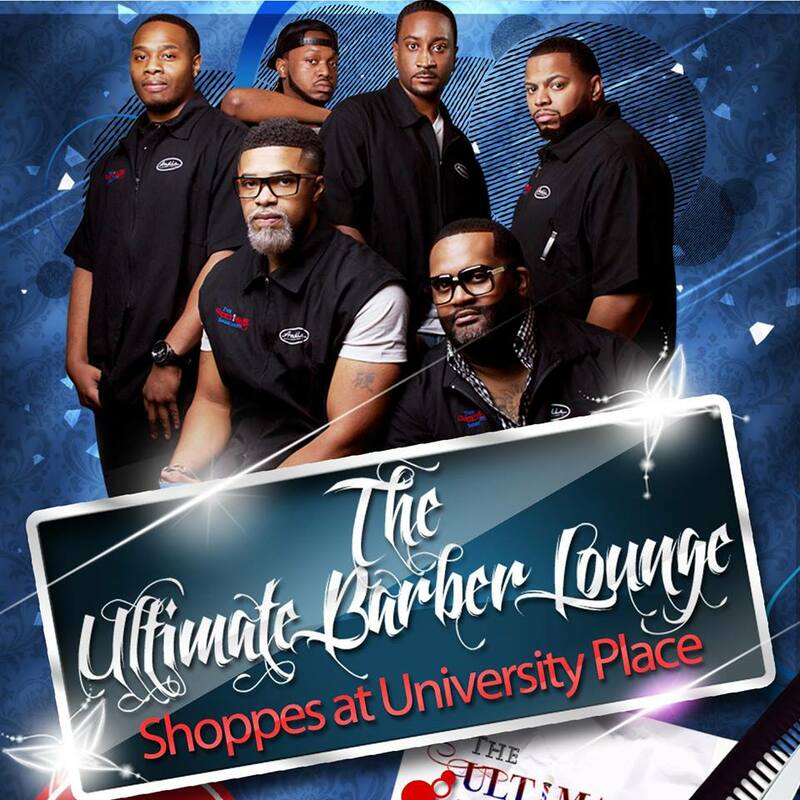 Wade is also launching his own line of products, “Ultimate Essentials,” teaching classes and offering training to other barbers who are interested in growing their businesses, and he is the proud founder of The Wade H. Menendez Foundation which launched in 2017. Growing up with a solid Christian background, Wade inspires others by reminding others that they succeed at anything they put their minds to. Image Competition of Atlanta very early in his career. roster of skill sets and partnered with Fashion Fair Cosmetics, among others. International team representing Helena Troy. that beauty was an inside job. discussion of “Beauty from a Logical Prospective”. campaign, so that they can leave a legacy for future generations. What began as a passion for hair soon turned into 26years of dedicated work to my profession. “Redefining the concept of hair care products” an essence of the ingredients in the Natasha Somalia product line. 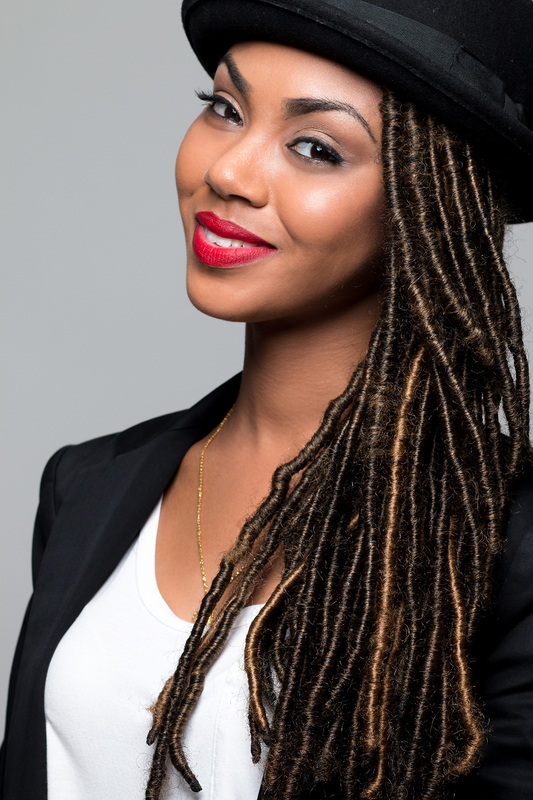 Hair Care and Texture Management , Natasha Somalia , has interchangeable roles as creative stylist, product developer, top educator, and business entrepreneur. Armed with years of professional hair care, business branding management and marketing experience, Natasha used her savvy business acumen to create two of metropolitan Philadelphia’s most highly sought beauty destinations. Her expertise also offers effective salon management, product knowledge , revenue growth, profitability and work-life balance instruction to salon owners and stylists throughout the Metropolitan area. Natasha Somalia is Founder and CEO of COVERED the salon ; Co-Owner and Artistic Director of COVERED BEAUTY Hair Studio in the Philadelphia area; KBBS Educator ; Ambassador for ENSO ; and a proud mother of five children. We also found this interesting story on Natasha…..
PHILADELPHIA (CBS) — A Germantown salon owner is working to build cultural understanding about Islam. She chooses to come out in public fully veiled. Natasha Somalia has owned a salon for 25 years, but 8 years ago, the mother-of-five converted to Islam, choosing to wear an abaya. “If I have to go out and conduct business, it’s more of a protection for me,” Somalia told Eyewitness News. She’s fully veiled with only her eyes showing through her niqab whenever she goes in public. 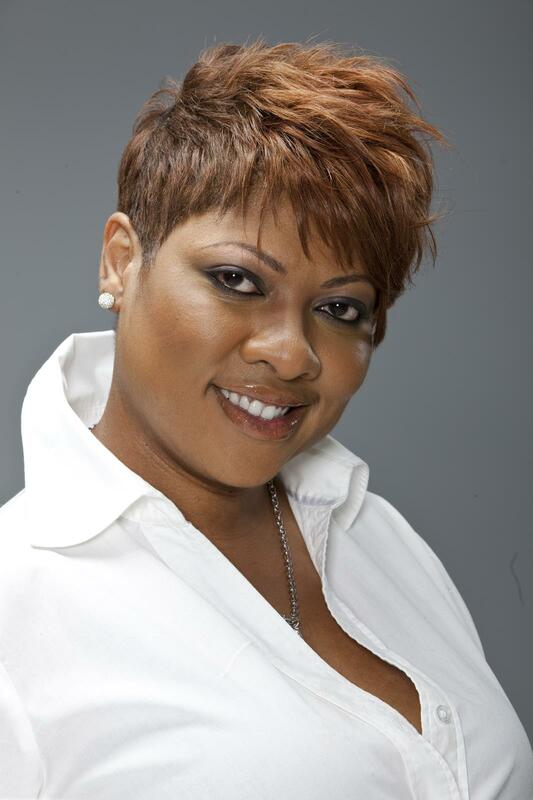 Charmaine “Penny” Jones is a licensed master cosmetologist and owner/CEO of Hair Illusions in two locations: Westchester, IL and Plainfield, IL. Penny has worked in the hair industry for more than 25 years and has received professional certifications of achievement from Pivot Point International Beauty (Certified Licensed Cosmetologist) and Vidal Sassoon Academy (ABC Cut). She’s very passionate, professional and dedicated to excellence in all forms of beauty. Often referred to as the Short Hair Architect, Larnetta Moncrief brings OPULENCE, GLAMOUR, and STYLE to every design making her the stylist of choice for the fierce and fabulous. 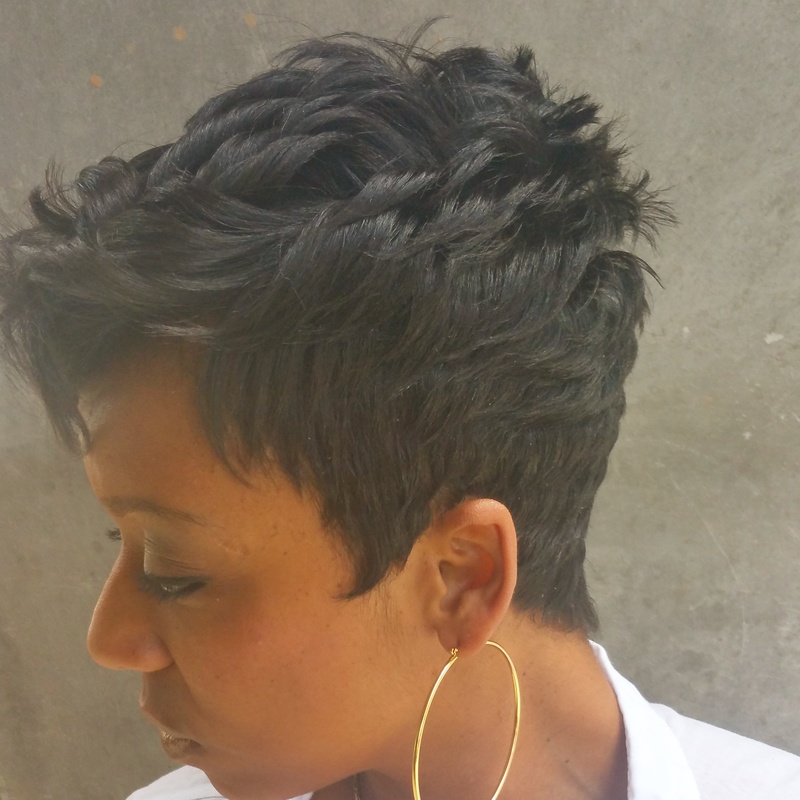 A professional stylist for over ten years, Larnetta uses hair as her canvas, bringing a distinctive aesthetic and unique approach to draw out each client’s inner diva. At an early age, Larnetta understood that hair is not just an accessory; that fabulous hair is the key to feeling beautiful and confident. 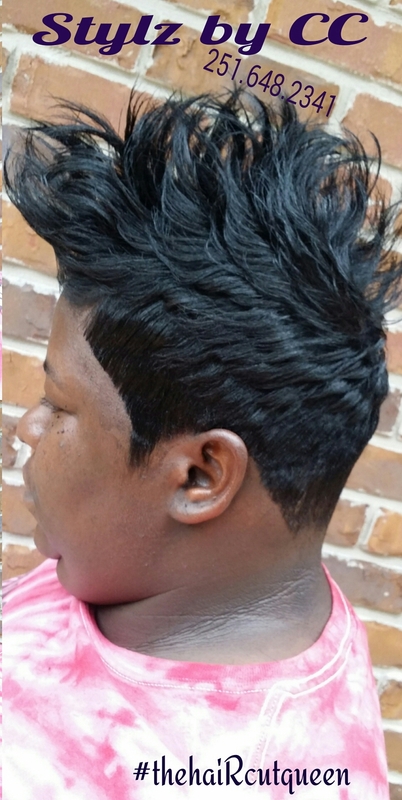 She aspired to attend fashion or cosmetology school; however, her path changed when she decided to attend Alabama State University. After graduating from college and receiving numerous accolades in her professional career, Larnetta’s passion for making women feel beautiful was still persistent. At 28, she silenced her fears and enrolled in cosmetology school where her natural talents and innate ability to move ahead of trends propelled her to the top of her class. 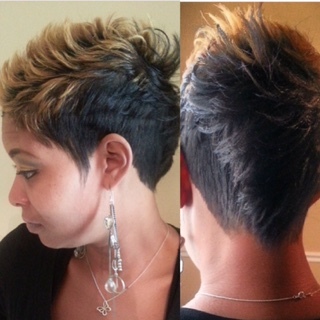 A master of her craft, Larnetta travels extensively around the country to study the latest techniques and hair trends. A true style chameleon, Larnetta embraces change and evolution. She “gets an exhilarating rush” from transforming her clients into confident and fearless beauties. At THE DIVA LOUNGE, Larnetta is living her dream of making women feel fabulous. 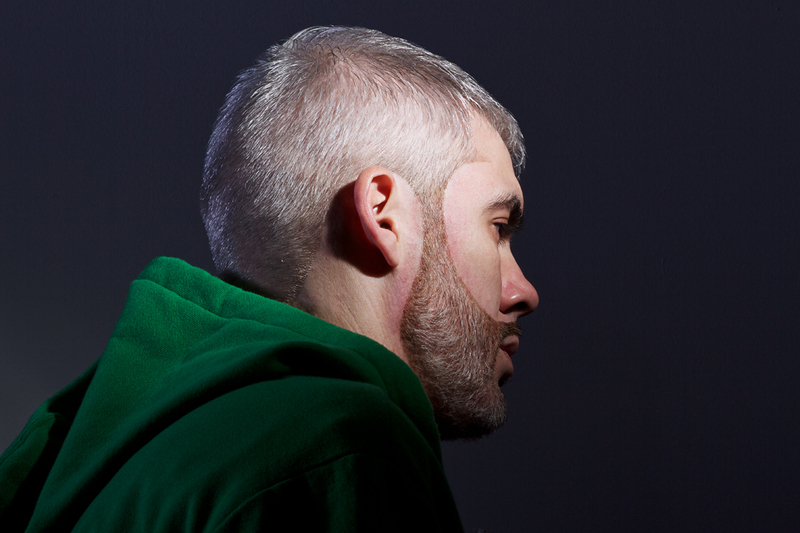 H2T: How long have you been a barber? Donald: I picked up the clippers in 1984. 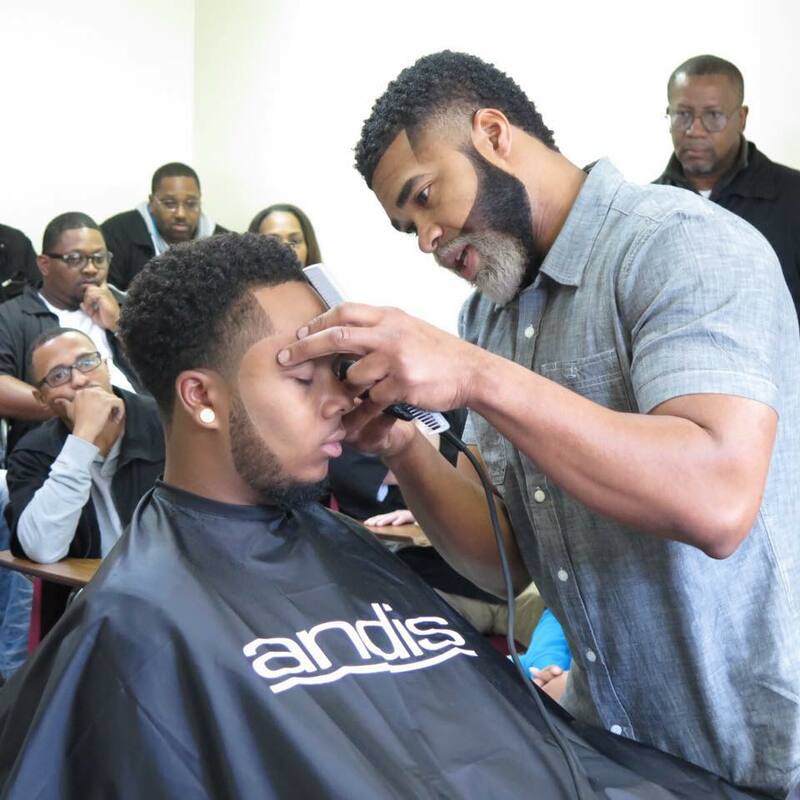 H2T: When did you first realize that you had a passion for barbering? H2T: Do you teach classes? Donald: Actually I’m not a teacher at all. H2T: What is one of the biggest mistakes a new barber can make? Donald: Trying to do too much too fast. Barbering is just like everything else it takes practice. H2T: What mistakes did you do when first starting out? Donald: Not finishing properly and not taking good care of my equipment. H2T: How did you correct them? Donald: Just taking my time and learning the ins and outs of my tools. H2T: Do you think anyone can become a barber or is it a gift that you have to be born with? Donald: I believe your born with it. Barbering is a art. Most barbers can draw pretty good? H2T: Where are you located? H2T: If you can give one barber tip to an up and coming barber, what would it be? H2T: How can people find you on social media? H2T: Where can people expect to see you next? Donald: Me and my barber brothers will be at Bronner Bros. in Atlanta promoting our company Dope Hair Care. Hed2Toe: How long have you been a nail technician? KaSundra: I’ve been doing this for 20 years. Head2Toe: When did you first realize that you had a passion for nail art? KaSundra: I have an overall passion for nails. I primarily care for the health of the nails versus the nail art. But I do from time to time get some of my clients who are interested in nail art. So I would say my interest grew more when I started doing photo shoots and production/set work. Head2Toe: Do you teach classes? KaSundra: Currently at the moment I’m not teaching classes. Honestly I have had people to ask me about teaching. So that is something that I am going to consider for 2017 on natural nail care. Head2Toe: What is one of the biggest mistakes a new nail tech can make? KaSundra: One of the biggest mistakes a new nail tech can make, would be not having patience. In this business you have to have patience to grow your clients. You have to be somewhere to grow your business before stepping out there on your own. Head2Toe: What mistakes did you make when first starting out? KaSundra: For me one of my mistakes was not having patience. It takes time to have a plan and a marketing plan to getting new clients. Head2Toe: How did you correct them? KaSundra: I just learned how to slow down and to have patience and to be in one place and be stationary to show my presence. Head2Toe: Do you think anyone can become a nail technician or is it a gift that you have to be born with? KaSundra: Yes I think anyone can do nails, but the passion is what keeps you going. You have to have a spirit of serving and a lot of patience. Not only for yourself, but for the clients that you deal with. You have to have the drive to push forward. Head2Toe: Do you see a lot of people who have contracted a nail fungus? KaSundra: I do have a few clients that have a fungus, I will first refer them to go see a dermatologist or podiatrist first. But it is something that is very important when finding a nail salon. It’s about sanitation and building a relationship with your nail technician. Head2Toe: How can people avoid contracting a nail fungus? KaSundra: People can avoid a nail fungus by being aware. Ask questions, do your research in regards to what you’re really looking for. And find someone that you can really communicate with in regards to what your needs are. Head2Toe: Where are you located? Head2Toe: What is the best way to book with you? KaSundra: Look me up under @nailspahaven on social media. By Appointment only. Head2Toe: If you can give one up and coming nail technician a tip, what would it be? KaSundra: To have patience with yourself, to take classes, to always keep in the know what’s going on in the industry as well as with your state board and what your clients needs are. Head2Toe: Where can people expect to see you next? KaSundra: Not for sure on where people will find me next, sometimes I’m all over the place have I’ve had some Publications this year. So we’ll have to see what happens for next year. God, Family and then Hair is the key to her success and longevity in the beauty industry. 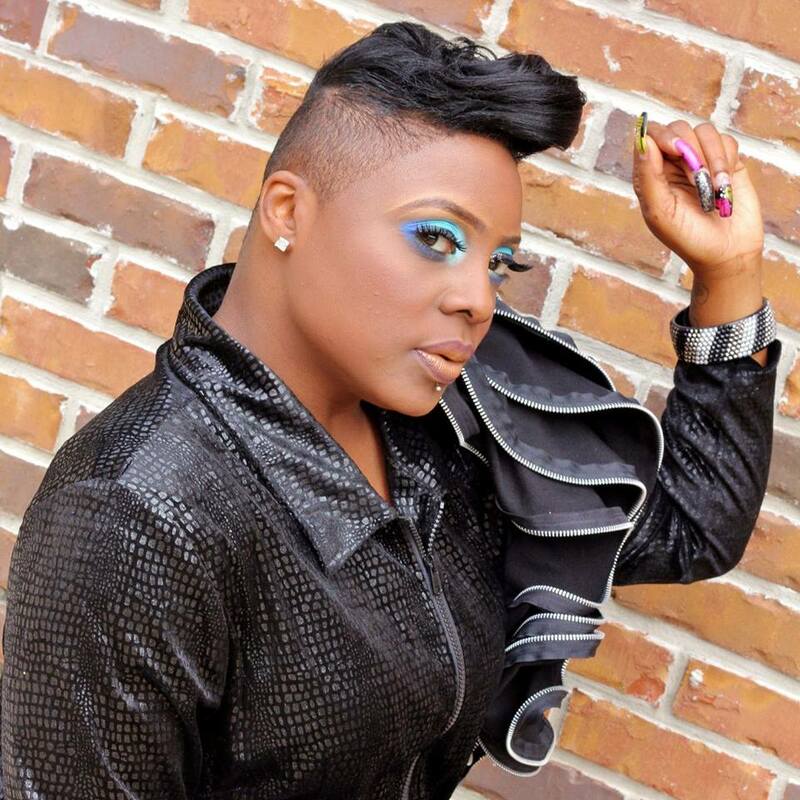 Mother of four, wife, salon owner and hairstylist has been the lyrics to her song for the past eighteen years. Shakita started her career at Beauty College America, where she graduated at the top of her class and then breezed through her state board examination in 1998. After receiving her license Shakita went to work in a salon for a year and a half until she realized that becoming a salon owner was her ultimate goal. With the help of her wonderful parents Shakita and her brother went on to open up a beauty and barber salon in Decatur, Ga in December 1998 where she has been a hairstylist/salon owner ever since. 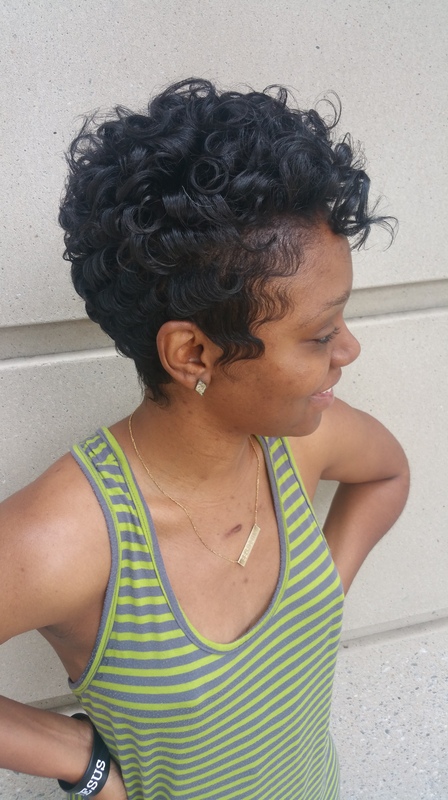 Shakita takes pride in operating a clean, professional, warm and inviting salon atmosphere for her hairstylist and most of all for her customers. 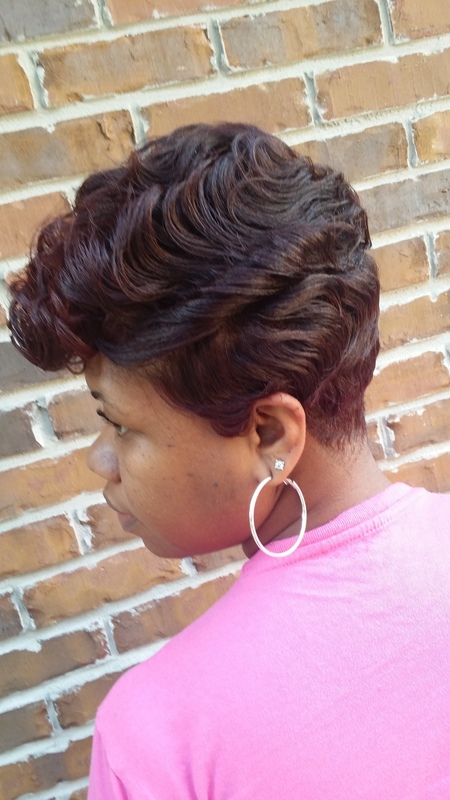 Shakita is Head2Toe Magazine’s new featured hairstylist. J-Roc Da Barber is a 9x Barber Battle Champion. 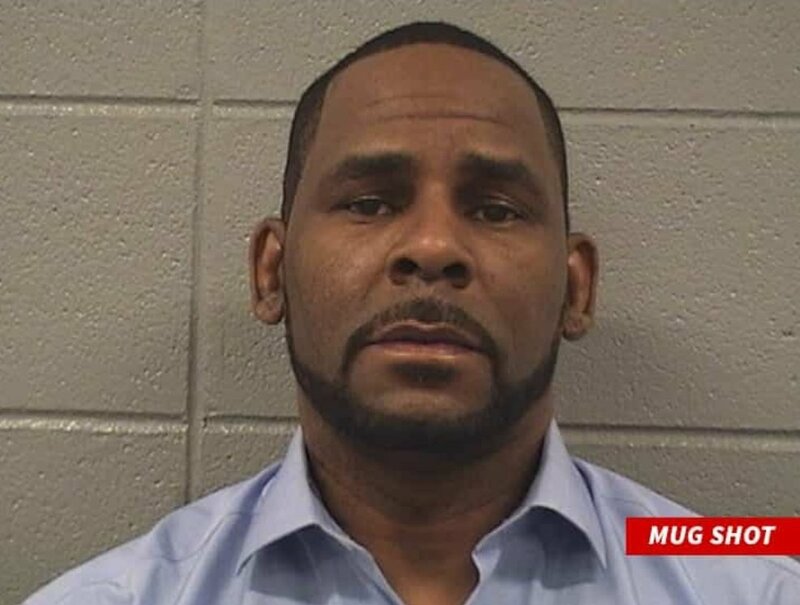 He is originally from Belzoni, Ms but now resides in Houston, Tx. He is a licensed Master Barber with over 20 years of Experience. After years in the U.S. Navy he decided to attend Barber School to follow his passion. 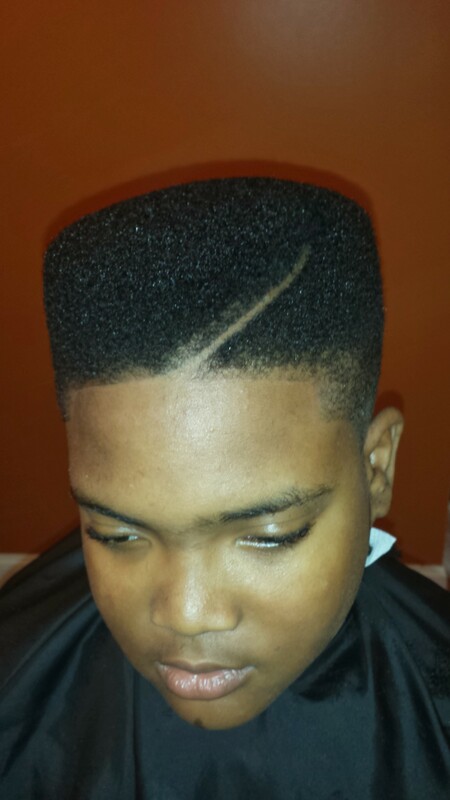 He got his start battling in Barber Battles while in Barber School. After graduation he began battling professionally in battles threw out the south. As the wins started to pile up he started getting recognized as one of the top Barbers in the Industry which got him onto the Tv Show Cedric’s Barber Battle on the CW Network. Now J-Roc travels the Country judging Barber Battles and Educating other Barbers. He does educational classes at Hair Shows and was selected to be an Educator for Bronner Brothers 2016. 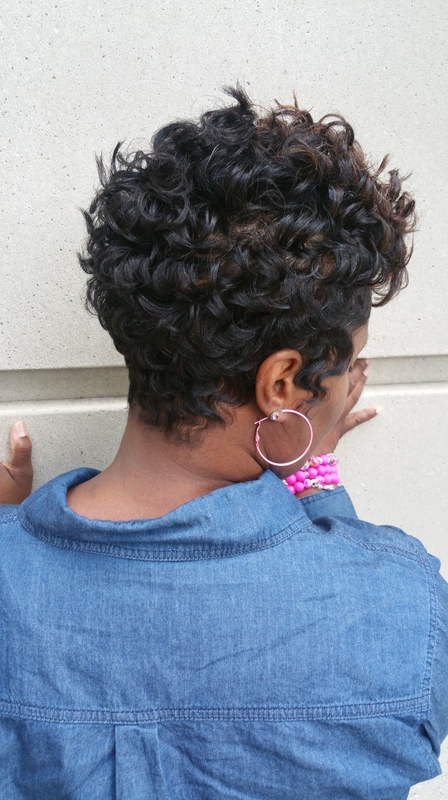 Tiliea Shipp a passionate hair artist based out of Kennesaw, Ga. 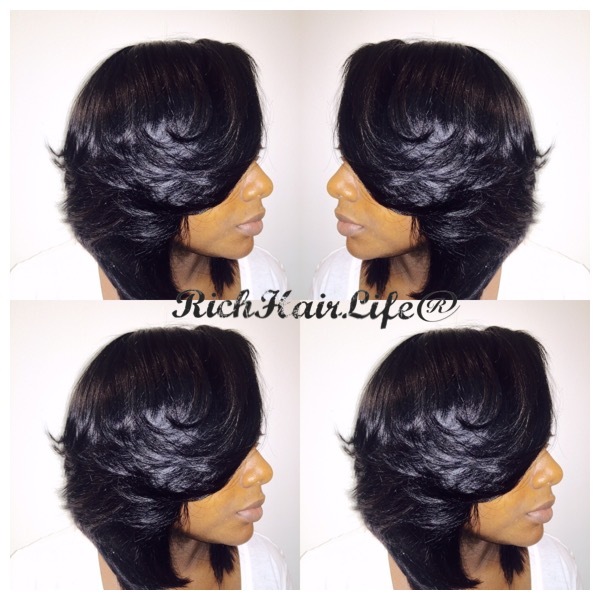 Specializing in Healthy Hair Care. 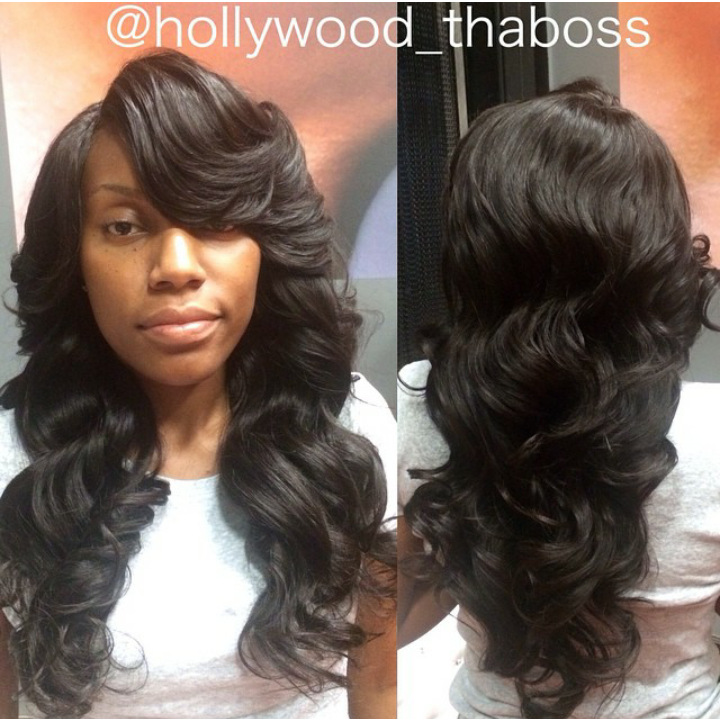 Tiliea’s energy, and creativity makes her one of the most sought after hairstylist. Originally from Columbus, Ohio, Tiliea moved here with family, with the interest in exploring her artistic side. Knowing that moving to Atlanta would create more opportunity. 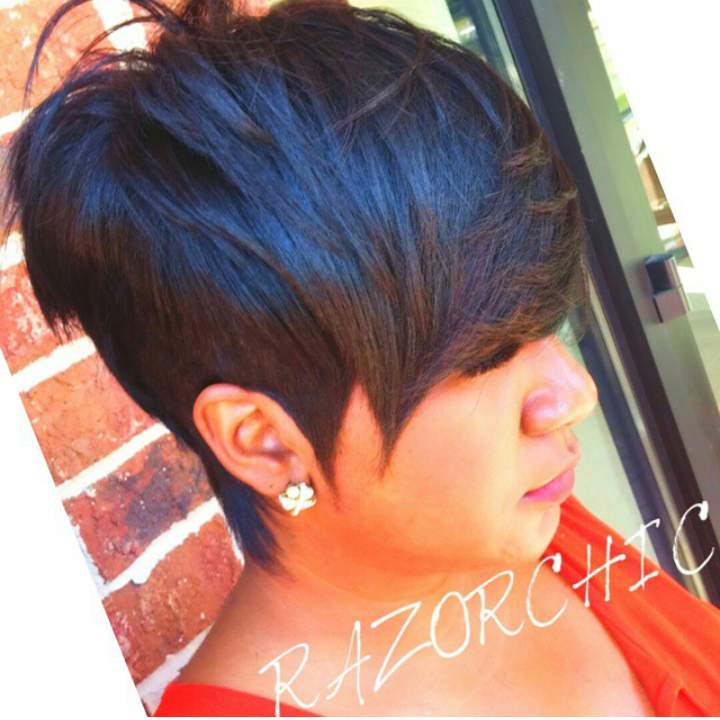 She attended Paul Mitchell The School Atlanta where she built a strong foundation and learned to appreciate the art of hair. After graduating she has collaborated with talented photographers and other artist on a variety of projects. Her mission now is to simply bring out the beauty in you! 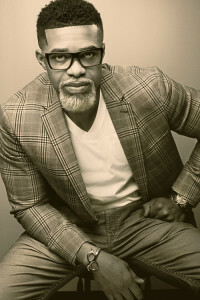 Ted Gibson is one of the most sought-after editorial, runway, and celebrity hair stylists in the business. His work has appeared in publications such as Vogue, Harper’sBazaar, Elle, Marie Claire, Vanity Fair, People StyleWatch, W, and Allure and backstage at runway shows such as Chanel, Prada, Dolce & Gabbana. He is also a huge influence and presence at both Fall and Spring New York Fashion Week styling some of the top American fashion designer labels including Pamella Roland, Carmen Marc Valvo and Lela Rose. Ted is perhaps most known for toiling over the tresses of top celebrities including Anne Hathaway, Jessica Chastain, Debra Messing, Angelina Jolie, Ashley Greene, Lupita Nyong’o, Gabrielle Union and many more. Considering his background, it’s not surprising that Ted’s incredibly successful Flatiron salon is frequented by models, actresses, fashion and beauty insiders and influential women who love its modern vibe and its discreet, down-to-earth flavor of chic. Ted was also the resident hair guru on TLC’s “What Not to Wear” and was responsible for the participants life-changing makeovers. A veteran of the beauty industry for 18 years, Monika Parham a native of Chicago, Illinois became officially a licensed professional cosmetologist in 1999. 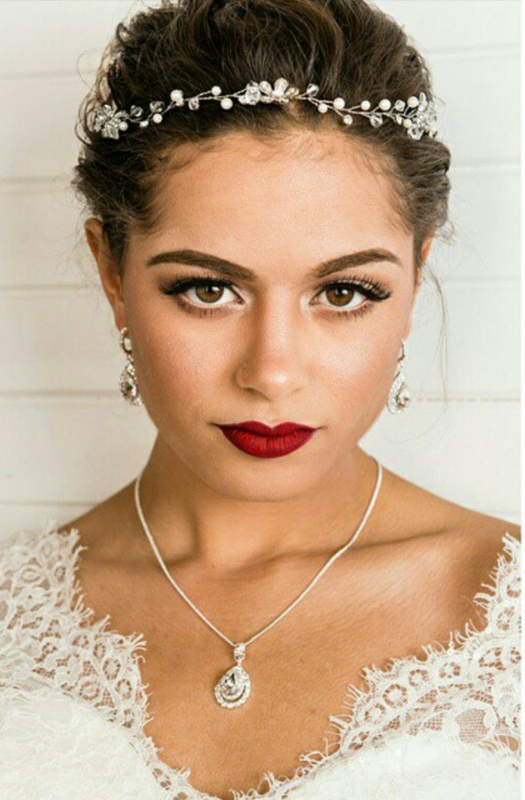 Upon receiving her license via Dudley Cosmetology College, Chicago campus she discovered not only that she possessed a grave talent, but that she harbored an amazing passion for changing lives by making women feel beautiful one head at a time. Acknowledging her passion, Monika begin to take interest in gaining as much education as possible. This lead her to obtain her Master Cut Certification through Dudley Cosmetology University, Greensboro, North Carolina. 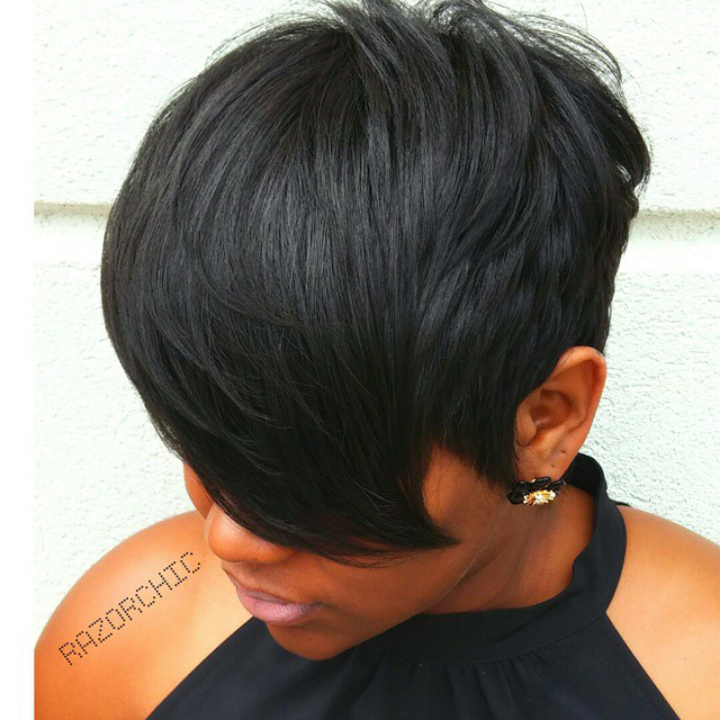 Monika has since owned her own salon in Chicago, been published in popular hair magazines like Black Hair Sophisticates & Black Hair. She’s been featured stylist on Chicago’s Proud Lady Hair Show brochure, as well as participant in various hair and fashion shows. 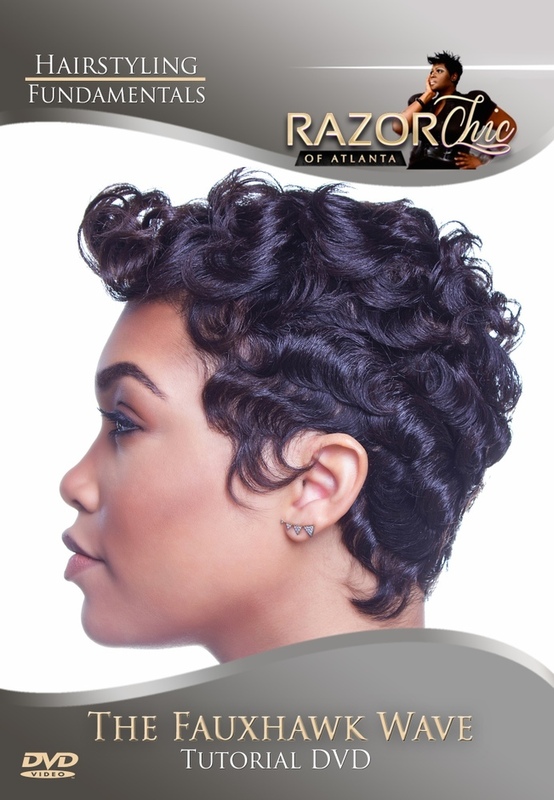 She has also been a platform educator for Avlon Industries. As of today Monika currently resides and works in Atlanta , Georgia where she continues to make women smile and feel beautiful one head at a time. Sonya has had a great interest and love for the hair and beauty industry since an early age. After graduating from Empire Beauty school, Sonya began her training and career as a precision cutting specialist at Toni & Guy Salons. While working in full service salons, Sonya found that her niche was hair styling. Today, she is busy doing extensions, making hair units, and working as a hair stylist for weddings, the working woman, and the busy stay at home mom’s. In addition, Sonya continues to work countless fashion shows, which allows her to keep up with the latest fashion and hair trends. There is a relatively small segment of leaders in the business world; individuals who seem able to build relationships, trust, and rapport with almost anyone, and then are able to broker the relationships and make connections between people, creating partnerships and alliances, and motivating forward momentum to get things done. Brenda Rich is one of those people, and ‘getting things done’ and creating profitable projects through collaboration, partnerships, and relationships—as the Creator & Executive Producer of the 1st Annual Youngstown Kids Hair & Fashion Show. With an enthusiastic and genuinely professional attitude, Brenda radiates a sincere passion for delivering creative productions that add value and benefits to her audience. 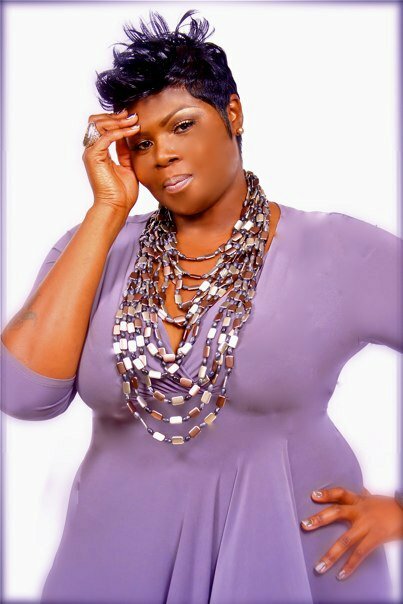 Prior to starting the 1st Annual Youngstown Kids Hair & Fashion Show she created her own reality T.V show called Single Mothers of Atlanta reality show concept, the 33-year-old single mother of four and estranged wife, began her career as a celebrity hair stylist specializing in “Hair Loss Prevention”. Wanting to expand on her creative talents, Brenda focused on building the next phase of her career. She decided to pursue her dreams and create a reality show that provides quality entertainment based on her own life experiences as a single mother. This reality show promises to make an impact on more people by showing them the ‘Real’ challenges many single parents face while raising children. Based on her life experiences of now raising her children alone, she feels there is a story that needs to be told and someone needs to stand in the gap for our youth. Brenda wants to share with the world some of her innovative ideas on bringing the community together through events, education and business. The 1st Annual Youngstown Kids Hair & Fashion Show, focus on children of all race and age to give every child something great to look forward to. This event will instill values in children, create a memory they will never forget and will bring the community together. Upon completing Single Mothers of Atlanta first project, throughout it all, Brenda has repeatedly proved her ability to lead through diverse and challenging situations in her personal life. As Creator of Single Mothers of Atlanta, she is an excellent agent of change and has a list of accomplishments as an entrepreneur that includes the turnaround of chaotic businesses, starting a Business on “Zero” budget and building a solid reputation for spearheading growth and long-term value. This is what makes the 1st Annual Youngstown Kids Hair & Fashion Show project the show to NOT miss. 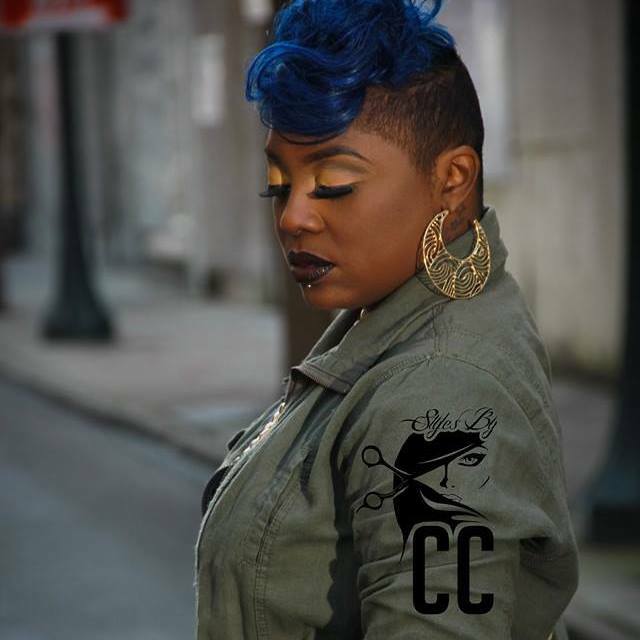 Changing the game and setting trends along the way, Jasmine Collins is a master stylist in the hair and image consulting industry. 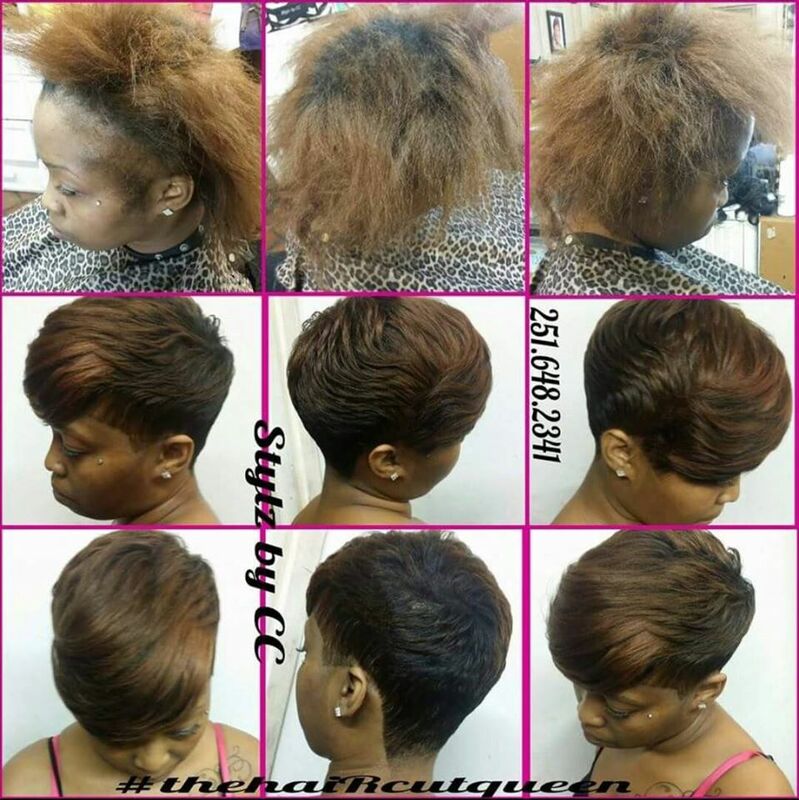 She has been styling hair for over 23 years, expanding her personal brand further operating her own salon, and facilitating classes for up and coming stylist. 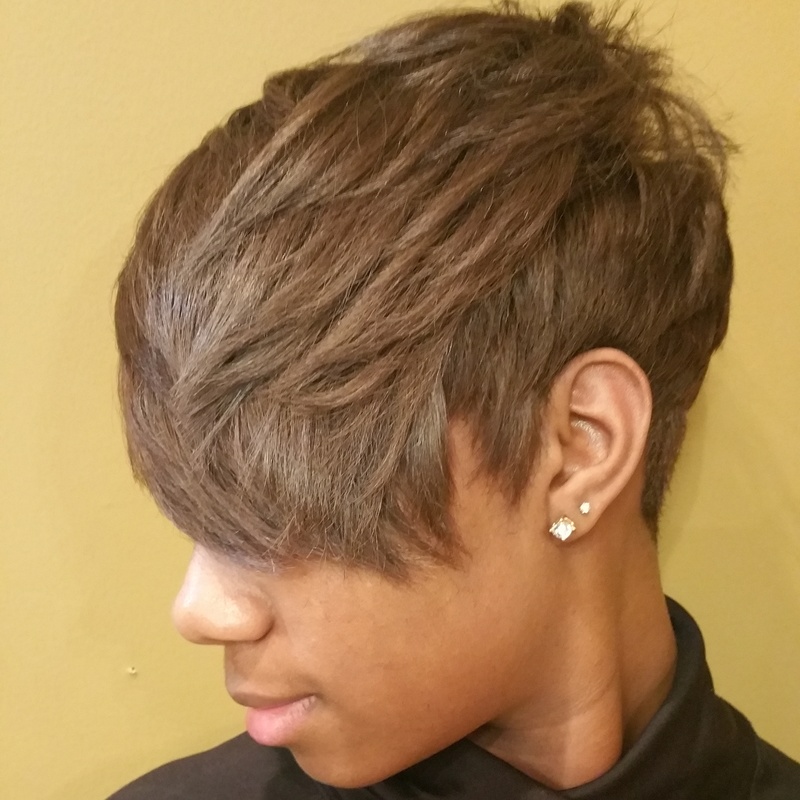 Jasmine Collins is an Award winning Master stylist. 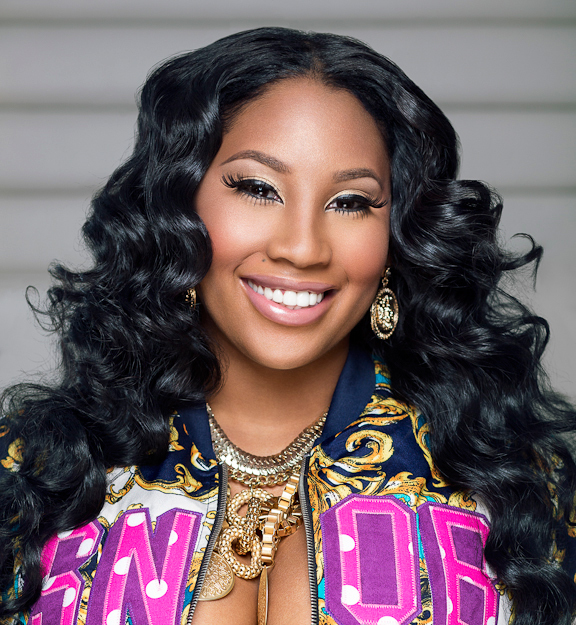 She has earned accolades from many competitions to include: Milky Way, Outre, and Bronner Brothers Hair Battle Competition. She has established a successful career generating a full head-to-toe look for anyone who dares to look their best. 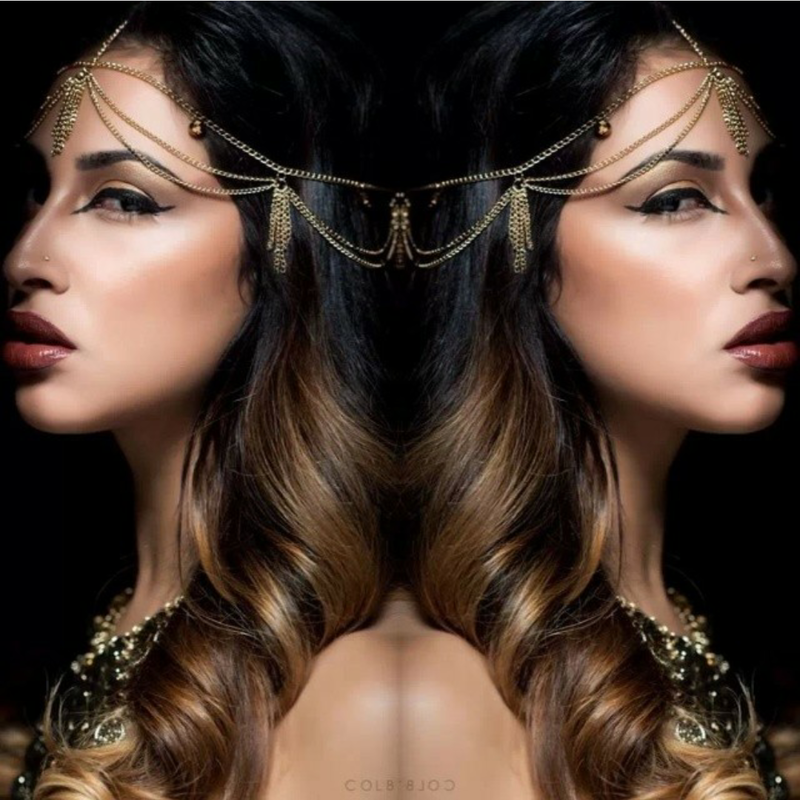 Jasmine demonstrates her artistry upon every client, utilizing innovative styling techniques that give you a complete look to make people stare. 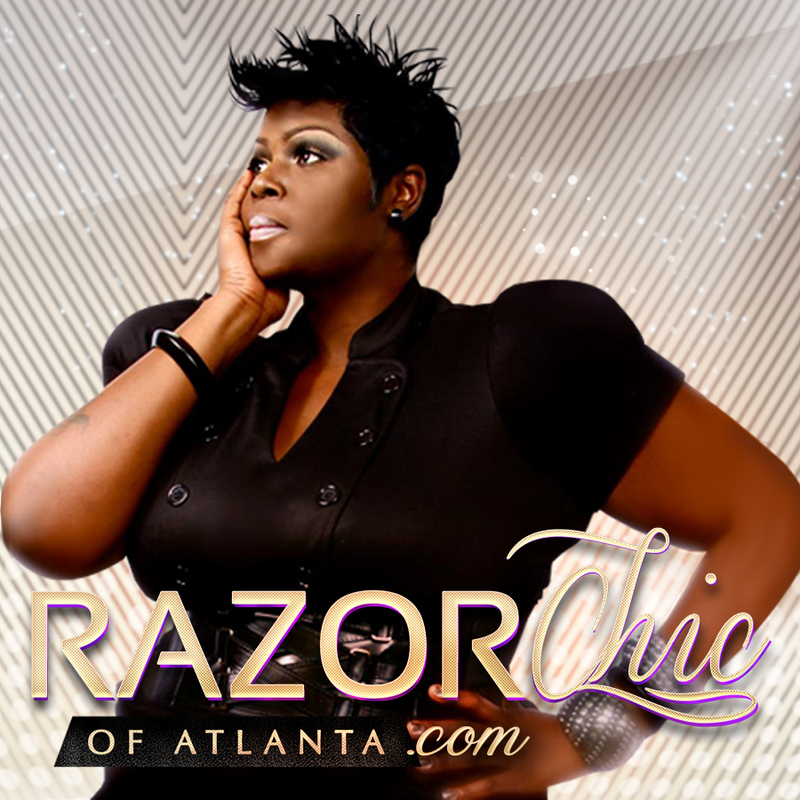 This cutting edge talent has rightfully earned her the nickname “RaZor Chic” in Atlanta. 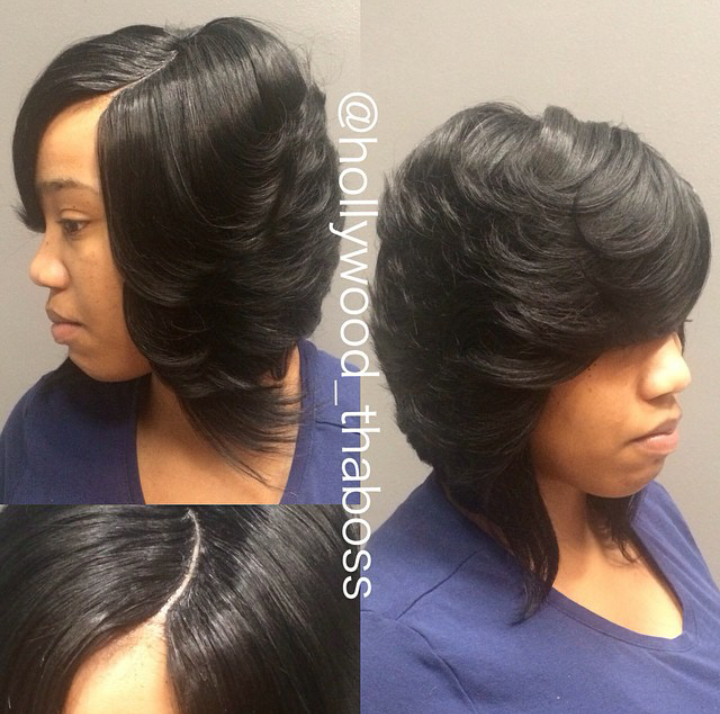 Tonya Rawls better known as “HOLLY WOOD” is a Little Rock-based hairpreneur with national reach, specializing in life like hair extensions, instructional DVDs, wig manufacturing and celebrity brand consulting. 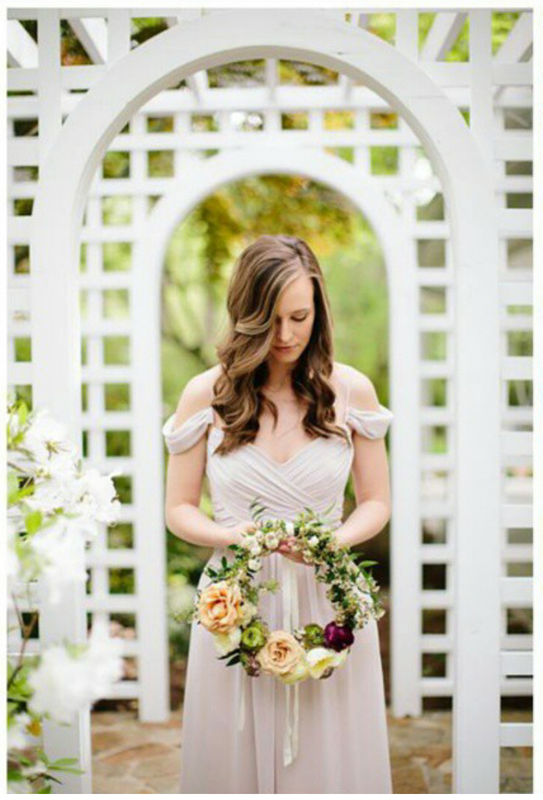 As one of the top-producing stylists in the state, Holly Wood is an innovative perfectionist taking her techniques, flare, and attention to detail to push the boundaries of the hair care industry. “Everything isn’t for everybody. Your stylist should be honest and style you to what fits your face, your frame and your lifestyle. 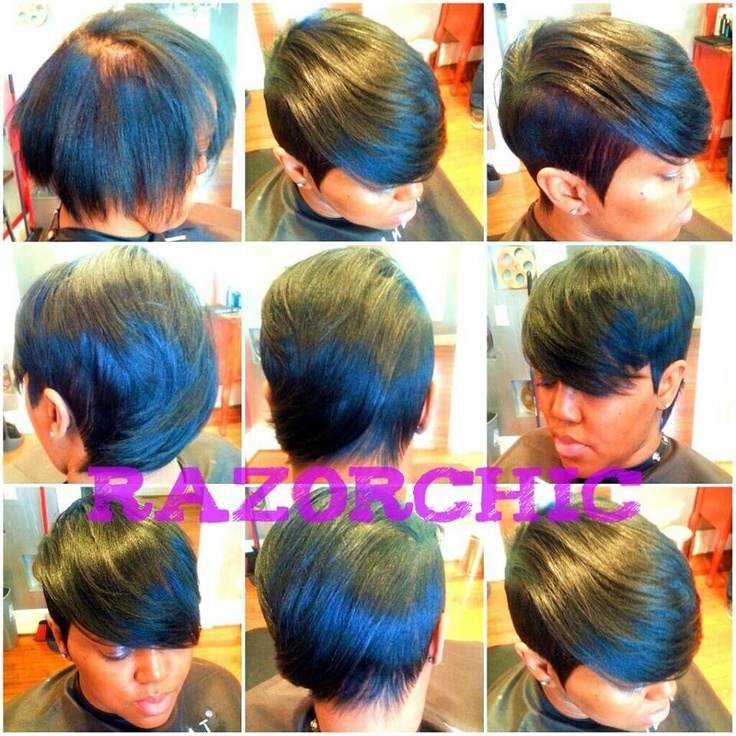 I want to be more than just your ordinary stylist.” Rawls states. 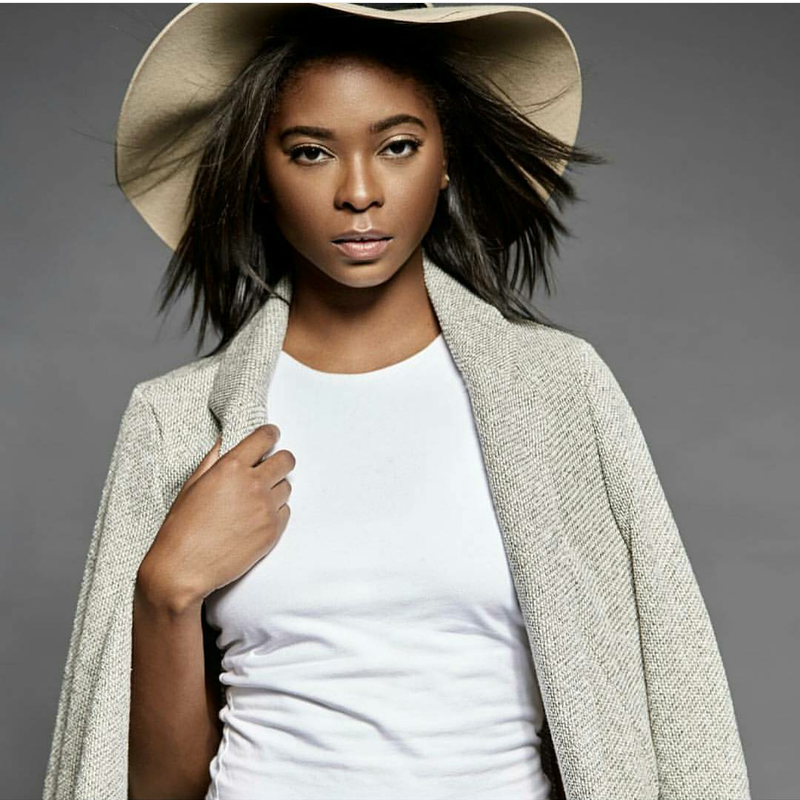 The former model and master of advanced styling techniques balances a busy career with motherhood and advocating for positive change within her community. Never far from her love of creating and perfecting her craft, Hollywood provides her loyal client base and growing consultancy with a personal and patient approach. “I always have fun with my clients. They always say ‘You’re so down to Earth.’ “I believe my success will never make me snobbish or change who I am,” says Rawls, who in recent years has expanded her business as a brand endorser and celebrity host. Over the course of more then decade, Tone McGill has quickly built a reputation in the hair care industry for being more than just a barber stylist. He is also a revered educator and entrepreneur with a passion for self-development. 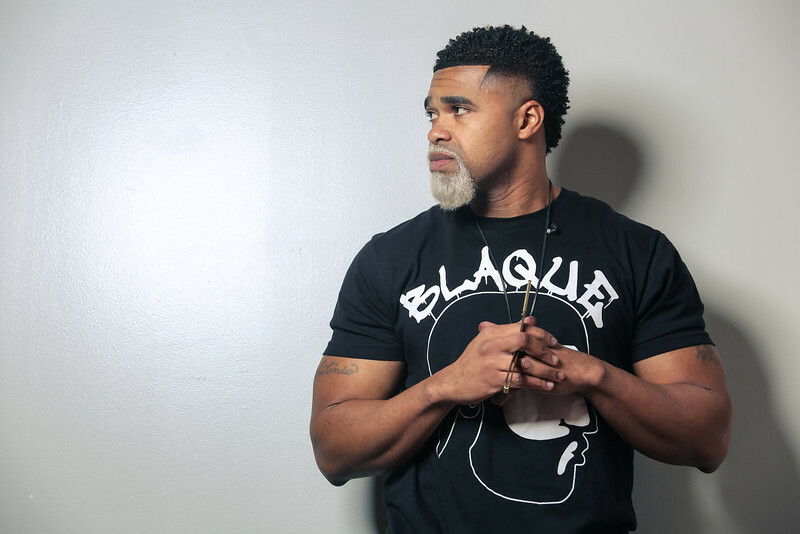 This Philadelphia native has solidified his name as one of the most sought after celebrity barber stylist in the country. Tone’s passion for performance and dedication to excellence has not gone un-noticed. 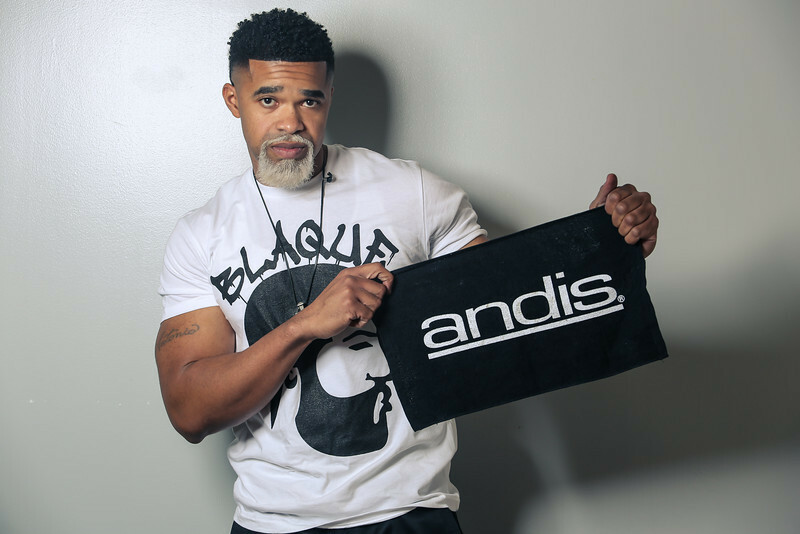 His expertise is frequently sought out by stylist powerhouses, such as Andis and cosmetology schools across the globe, making him one of the industry’s most in-demand educators. 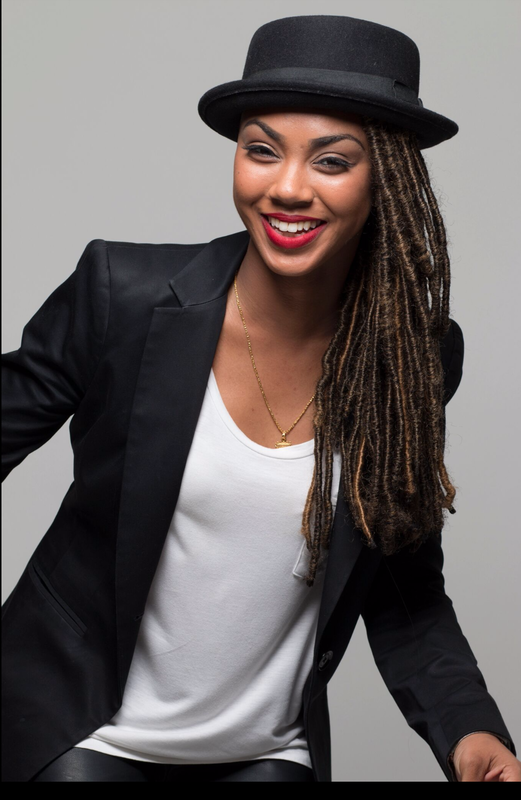 Through ingenious marketing and self branding, Tone has created a stylist enterprise. 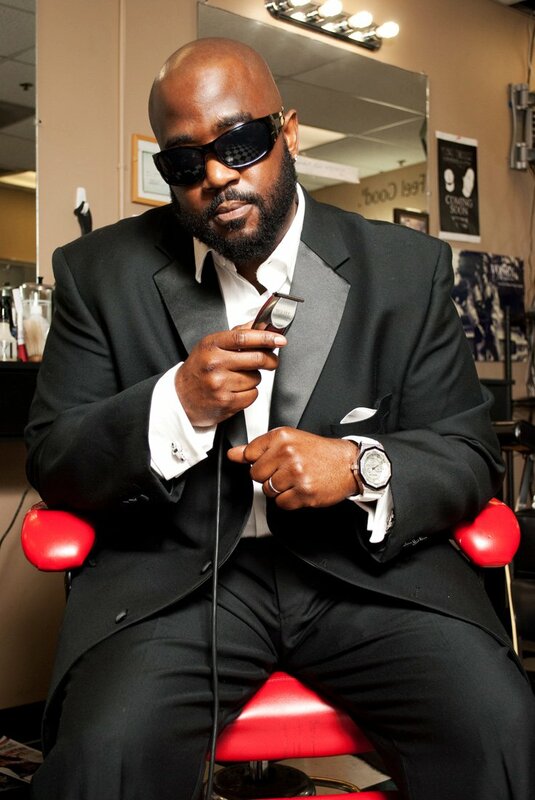 Besides creating an array of self-help products, he is the founding principal of “The Ultimate Barber Lounge“, The founder of the “Blaque Technique” and is the co-founder of “Clipper Education“, an international hair care education firm. Calondra Parker hails from deep down south in Mobile, Al, but she brings a different type of swag to the Gulf Coast. 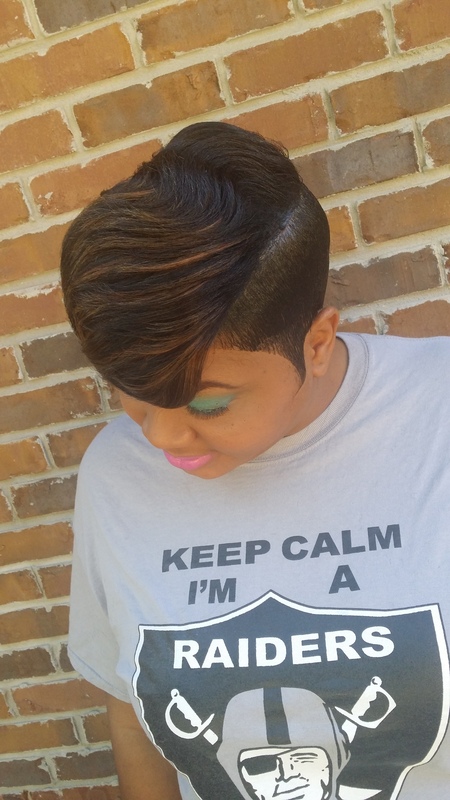 She is a license hairstylist and makeup Artist and now she can add haircut educator to her list of talents. Calondra says: “I HAVE BEEN CREATING WORKS OF ART FOR ABOUT 16 YRS…..IM VERY OUTGOING, OUTSPOKEN, STRAIGHT2THE POINT TYPE OF INDIVIDUAL. WHAT U SEE IS WHAT U GET;)..NO REPRESENTATIVE!!!!! I ENJOY EVERY ASPECT OF MY CAREER!!! !I LIVE AND BREATH THE ART OF BEAUTY AND FASHION” Her Style says it all, and she brings out the inner fierceness of her clients. Having a bold personality is a plus in the beauty industry because it pushes other women to own their inner beauty and let it show on the outside. 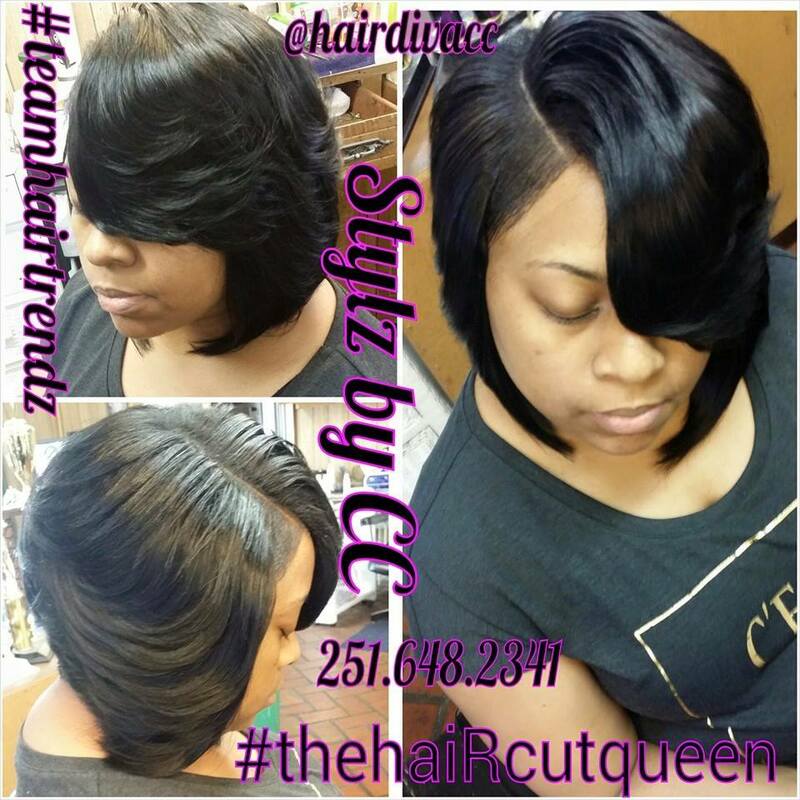 The “Haircut Queen” is now traveling and teaching other hairstylist her hair cutting techniques which is a great way to give back to the industry. Stay tuned because we are pretty sure that we will be hearing a lot more from this talented young lady. 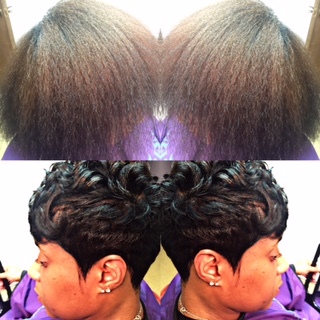 You can find her on Instagram @hairdivacc and on Facebook Calondra Parker. Jimmy Dale Crawford A.K.A. J.D./JDEEZY. I graduated from Pass Christian High School in 1992. I Attended Mississippi Valley State University on a football scholarship. After three years in college, I decided to go to the army and serve my country. Shortly after entering the military, I suffered from an extremely bad knee injury that resulted in five knee surgeries over the course of six years in the United States Army. In 2001, I was medically discharged from the military with an honorable discharge. Once exiting the military I received my Master Barber Licence. 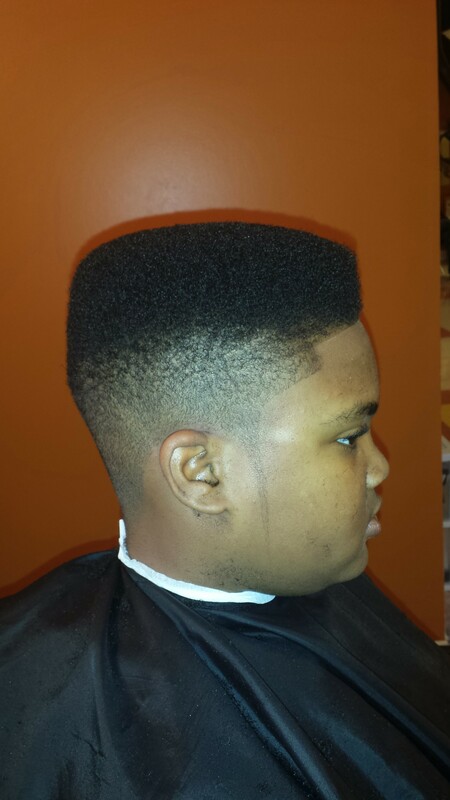 I worked in Waco Texas for a spell at Heads Up Barber Shop with Sammie Anderson. Not to long after, I decided to returned to my home town of Pass Christian Mississippi. There is were I started my business, “Cutt’en Up” barber and Beauty shop. For two lovely years the Mississippi Golden Gulf Coast showed major support to my Barber business. When Hurricane Katrina hit the Gulf Coast, my home and business was destroyed. The decision was made to relocate to Nashville Tennessee! Since I’ve been in Nashville, I have had the greatest opportunity to be a barber to a quite a few Tennessee Titan players. My goal is to continue to be a positive influence to my community and surrounding cities. Hailing from the Hustler’s capital, Detroit, Michigan, Ming Lee, hairstylist turned entrepreneur, has always had her eyes on the prize. Her father instilled principles of strategic execution in her as a child. Her grandmother, whom she affectionately calls GiGi, raised her to be an independent woman accustomed to the good life. Her unique upbringing led to her becoming an online phenomenon and trail blazer for those to follow. Never one to shy away from the finer things in life, at an early age Ming was pegged a ‘snob.’ She has always been very particularly about certain elements of her lifestyle including the way her food is prepared, living arrangements, and most importantly, her hair.